Tollywood Bengali film Golemale Pirit Koro Na movie story review casting director producer cast of Golemale Pirit Koro Na release date book buy tickets online Bengali Golemale Pirit Koro Na Jishu, Payel, June, Sumita, Golemaale Pirit Koro Naa Jishu, Payel, June, Sumita, Bengali movie review shooting location cinema halls showing Golemale Pirit Koro Na Kolkata Bengal show timings upcoming Bengali cinema Golemale Pirit Koro Na watch online. Tollywood Film-maker Anindya Bandyopadhyay's Golemale Pirit Koro Na Bengali movie is releasing on 8th February 2013. After the success of Bengali film Chaplin & Ami Subhas Bolchi, Director Anindya Banerjee comes up with a comedy film Golemale Pirit Koro Na starring Jishu Sengupta, Payel Sarkar, Kanchan, June Malia & others. • Golemale Pirit Koro Na Bengali movie Director Name: - Anindya Banerjee. • Golemale Pirit Koro Na Bengali movie Producer name: - Presented by Rajiv Mehra and Produced by Kaleidoscope Productions and Services L.L.P. • Golemale Pirit Koro Na Bengali movie Cinematographer name: - R Bhagat. • Golemaale Pirit Koro Na Bengali film Story & Dialogue writer, screen player name: - Anuja Chattopadhyay. Golemale Pirit Koro Na Title Track - Sung by Akash. Elo Re Elo Prem - Singer Javed Ali & Nilkashi. Ding Dong - Singer June Banerjee & Mallar. Baby I Miss You - Singer Javed Ali & Nilkashi. Sudhu Bolte Chai - Singer Akassh & Mallar. Elo Re elo Prem (Feel Good Mix) - Singer Javed Ali & Nilakshi. • Golemale Pirit Koro Na Bengali movie Lyricist name: - Akash, Arnab Chakraborty, Anuja Chattopadhyay. 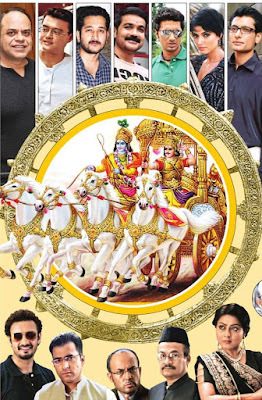 • Golemale Pirit Koro Na Bengali film Casts Actors Actresses: - Jishu Sengupta, Payel Sarkar, Sumita, Ritiwik Chakraborty, Kanchan Mallick, Rajatava Dutta, Sudipa Basu, Manashi Sinha, Subhrajit Dutta & Others. 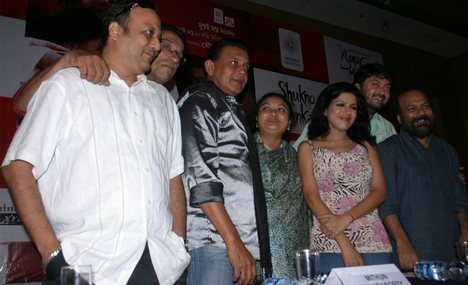 • Golemale Pirit Koro Na Bengali movie Release Date: - 8th February 2013. • Golemale Pirit Koro Na Bengali movie Story Review: - Golemale Pirit Koro Na is a Romantic Comedy film by Director Anindya Banerjee. Actress Sumita is making her film debut and playing a pretty lady who loves 'Prem'. Actor Jishu Sengupta, returned in Big Screen after long gap & his last film was Noukadubi, & Actress Payel Sarkar worked together for the first time. Don't miss to watch Golemaale Pirit Koro Naa Bengali romantic-comedy film. • Cinema Halls showing Golemale Pirit Koro Na Bengali movie: - Advance Ticket Booking of Golemale Pirit Koro Na Benglai film will be available on & from 6th February 2013 (Wednesday) at various Cinema Halls. Let’s check out few Cinema Hall names of Kolkata & across West Bengal showing Golemale Pirit Koro Na Bengali film from 8th February 2013 – Darpana, Mitra (Noon Show), Purabi, Indira & others. New Bengali movie / Tollywood film Golemale Pirit Koro Na of Jishu, Payel, June, Sumita seems to be worth watching in Cinema Hall; so start buy tickets online of Golemale Pirit Koro Na from www.bookmyshow.com website. Actress Payal Sarkar (Payel) Profile Biodata Biography Early life Payal Sarkar Actress, Filmography Payel Sarkar Bengali Actress, Television Career Bengali TV Film Actress Payel sarkar, Awards Model Actress Bengali girl Payal Sarkar, Payal Sarkar Wikipedia, Actress Payal Sarkar Family (Father Mother Brother Sister Children Kids Son Daughter Husband Boyfriend) Payal Sarkar Actress Birthday Address Mobile Phone Contact Number Bengali Actress Payal Sarkar Qualification Education School College University Degree Payal Sarkar Actress Model Personal Early Life Payal Sarkar Educational Professional Life Actress Payel Sarkar unknown secret life information Payel Sarkar facebook twitter profile. Payal Sarkar (Payel Sarkar) is a popular actress from Kolkata Bengal who have acted in few Hindi TV serials and now doing Tollywood Bengali Films. After completing graduation Payel Sarkar had started her modeling career and famed from Bengali Teenagers Magazine Unish Kuri (19-20) of Anandabazar Patrika (ABP Pvt Ltd) where Model Payel Sarkar was appeared in the Cover Page of Unish Kuri Magazine. Then Actress Payel Sarkar moved to TV Serials acting career and finally got her first breakthrough in Bangla Cinema in 2004. The latest block bluster film of Actress Payel is Le Chakka with Dev. • Actress Payal Sarkar Birthday : - 10th February, 1984. • Age of Actress Payel Sarkar: - 28 as on 2012. • Birthplace of Bengali Actress Payel Sarkar: - Kolkata. • Address of Payel Sarkar Actress: - South Kolkata. • Mobile Phone Number of Payal Sarkar Actress: - Not Published for Security Reason. • Profession Occupation of Payel Sarkar: - Model turned Actress. • Marital Status of Actress Payel Sarkar: - Single. • Qualification Educational Background of Payal Sarkar Actress: - Graduate in History from J.U..
• Spouse Husband Name of Actress Payel Sarkar: - not yet. Don't forget to check out the Professional Life of Actress Payal Sarkar. Payel Sarkar Tollywood Movie Star Cinema Heroine Film Actress Payal Sarkar Occupation Profession Acting Career Films Cinemas Movies Filmography Payal Sarkar Bengali Film Actress Professional Life Awards Achievement Prizes Won Bengali Cinema Actress Payel Sarkar Upcoming Films acting modelling struggling life Tollywood Film Actress Bengali girl Payel Sarkar. Payal Sarkar (Payel Sarkar) the Bengali film star actress is the familiar face to all Tollywood Film viewers and Bengali Television Serial viewers in Kolkata, Bengal and in the World. Sweet faced Payal Sarkar Bengali Actress had started Payel's Professional Career as a model of Unish-Kuri Bengali Magazine (19-20) and later Payal Sarkar moved to small screen media industry i.e., Television Serial in various Bengali TV Channel. Because of superb Acting ability and facial expressions of Actress Payal Sarkar; she got a chance to make the first film of Payel Sarkar Actress in 2004. • Debut Bengali Film of Actress Payal Sarkar - Shudhu Tumi in 2004 - Payel acted with Prasenjit Chatterjee, Koyel Mallick. Bengali film of Actress Payel Sarkar Bibar (2006), I love You (2007), F.M. 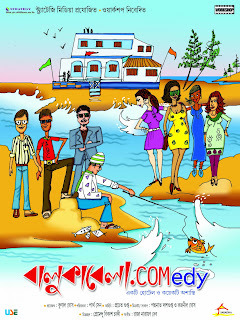 (Fun Aur Masti), Cross Connection (2009), Prem Amar (2009), Le Chakka (2010), Gole Male Gole Male Pirit Koro Na (2010), Le Halua Le. Bengali Television Film Career of Actress Payal Sarkar: - Actress Payal Sarkar acted first in the TV Serial Love Story in 2007-2008 as Shruti's character and then onwards Payel Sarkar acted in Waqt Batayega Kaun Apna Kaun Paraya (2008), Shakuntala Bengali TV Serial and Payel's TV Serial Ladies Special. The last two Bengali TV Serials are recently ended. Recently in 2010 Actress Payal Sarkar has won Anandolok Award 2010 and wish good luck for Payel's Film Acting Career and Professional Life which must be appreciated more than now.